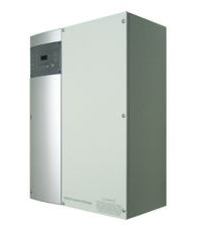 Benefits The ultimate hybrid inverter/charger for off-grid, backup and grid-interactive solar energy systems. All XW system components are backed by a standard 5 year warranty! The XW+ 6848 Inverter/Charger cannot connect directly to photovoltaic arrays, wind turbines, or other renewable sources. The batteries are the inverter’s primary source of power. However, if these sources are used to charge the batteries, the inverter can use their energy by drawing it from the batteries. overcharging. Xantrex XW60-150 MPPT charge controller can be used for this purpose, as can other products.